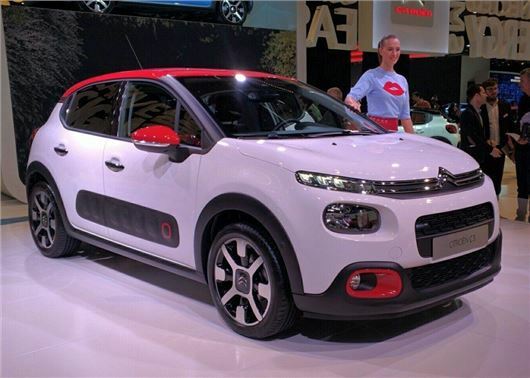 Citroen has launched the all-new C3 at the Paris Motor Show 2016. Due to arrive at UK showrooms in January 2017, the hatchback gets C4 Cactus styling, with air airbump side protection and split-level headlights. Expect prices to start at around £11,000. The engine line-up will include the 1.2 Puretech petrol engine in three versions of 68PS, 82PS and 110PS, echoing the C4 range. The diesel will be the 1.6-litre with 75PS or 100PS and start stop will be standard on all models. CO2 emissions and fuel economy ratings are still to be confirmed. Inside, there are areas that can be painted, wrapped with textile and finished with chrome or coloured touches. The idea being to give it a boutique feel that can be personalised however you want. These include the 'Metropolitan Grey Ambience' with soft colours and textiles and the excitingly named Hype Colorado Ambience which has soft upmarket materials and special upholstery for a colour-contrast effect, along with a two-tone leather-covered steering wheel. Like the C4 Cactus, the new C3 will also have plenty of choice when it comes to personalisation. It gets a two-tone paint option with the choice of three roof colours and different coloured trims around the fog lights, door mirrors, rear quarter panels and on the airbump panels. One interesting new feature is the ConnectedCAM which uses a camera in the rear view mirror as a dashcam. This would make it the first car with an integrated dashcam. 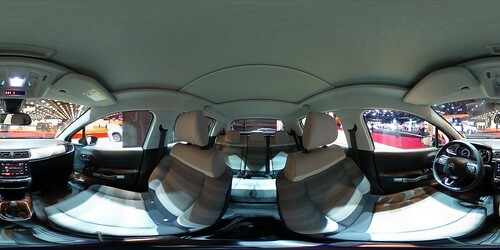 Citroen says it won't just be form over function though with lots of stowage, a large glovebox and a 300-litre boot.